Contractor is has progressed well and is now a head of schedule by 5%. 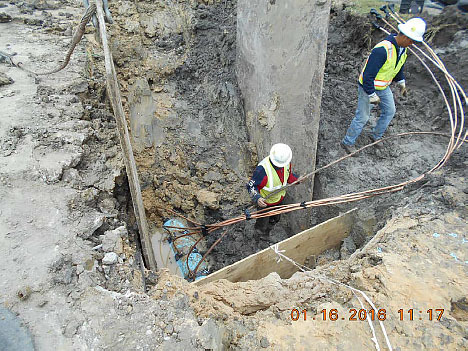 Contractor continues excel and continues to address issues with the local residents in the area. These items along with Harwin Change order were discussed in a progress meeting conducted on December 22, 2015. 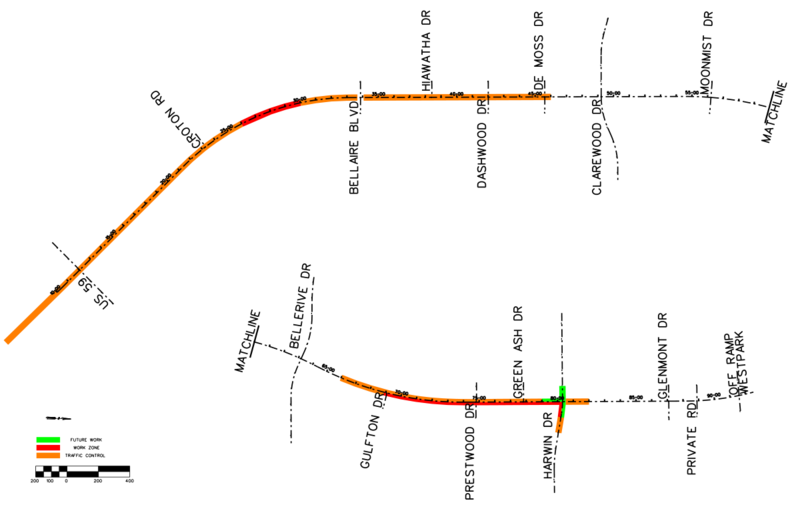 A summary of the contractor’s time and expenditure is as follows: the contractor is roughly 28.1% complete ($5,418,130.09), with 23.7 % (142 days) of the time expired. Contractor has submitted Pay Estimate #5 for $1,011,115.21 and CobbFendley has reviewed the pay estimate and concurs with this amount. 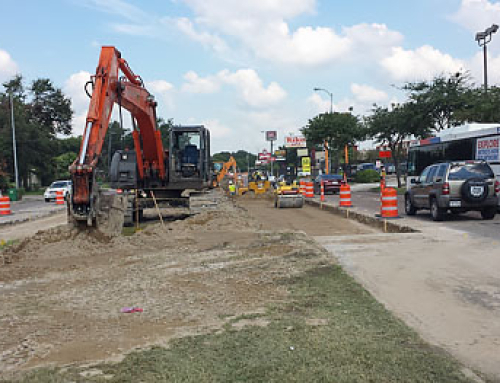 The Contractor is working on the south side of the project working on the northbound lane between Croton and De Moss, excluding the Bellaire intersection placing roadway, sidewalk and driveways. Contractor is also placing storm line on Fondren to the south of the Harwin intersection. 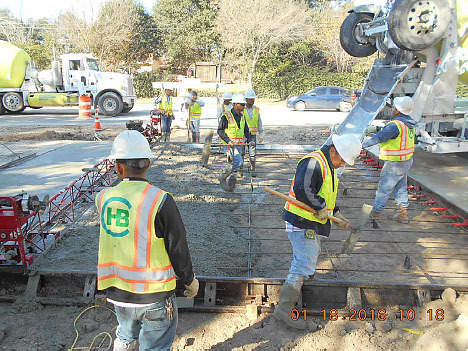 Currently the contractor is almost finished with the underground utilities on the East side and is paving and placing sidewalks from Harwin to Gulfton, and continuing south. Traffic control has been set up starting south of the US 59 intersection and extending past Clarewood Road. Single lane closures have been set up at the Harwin Road intersection. The contractor has started to install the storm and the rest of the underground utilities at Harwin. 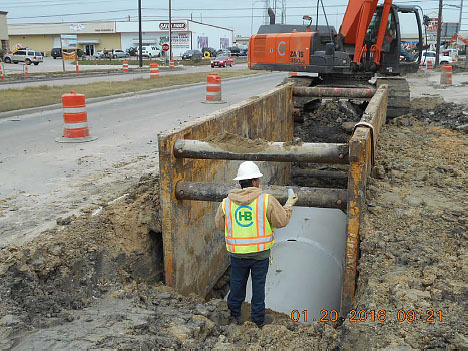 The Contractor will continue to focus on finishing the pavement at the southwest side of the project and the storm boxes from Harwin to Gulfton. 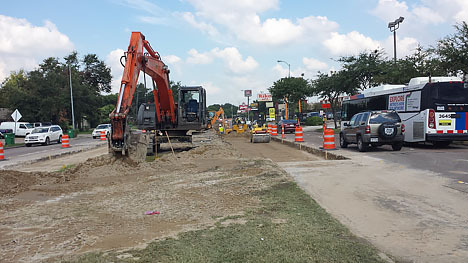 Work will continue on Northbound Paving between US 59 and Bellaire; Storm line installation will continue to on Fondren south of the Harwin Intersection and removing the median and placing temporary pavement between Bellerive and Gulfton. Per Board request, we have been working on the Harwin west side extension. We have used current bid items where possible and have added bid items as needed. We have confirmed that the increase scope of work will also add days to the contract. The contractor has completed the estimate for the change order with a 1% Bond. If approved by the board change order one with bond will add $2,038,107.89, and 90 days, bringing the total contract to 21,336,302.63 and 690 days.